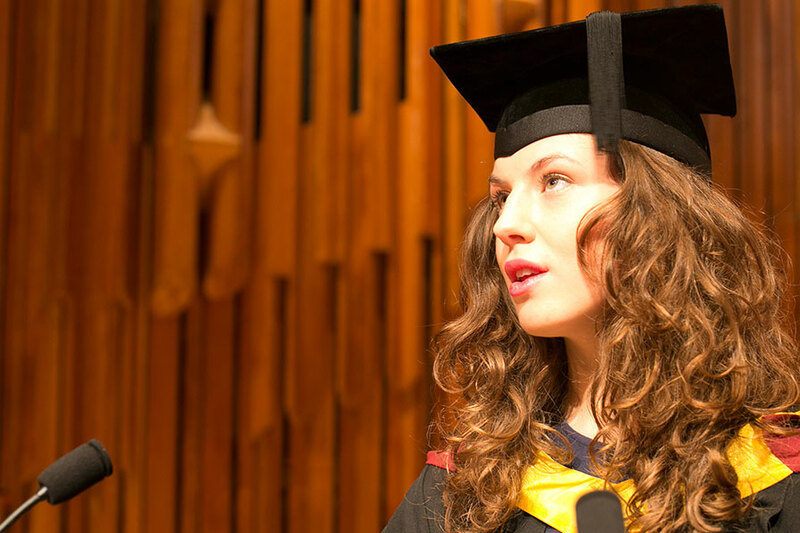 Grace graduated with a first class degree in midwifery and spoke about her experiences at her graduation ceremony in January. “When I decided I wanted to become a midwife, I had no concept of what was ahead. I remember thinking “delivering babies? How hard can that be?” How wrong I was! Training to become a midwife turned out to be one of the most challenging experiences I’ve had. I'm sure many of my fellow students will identify with this. I'm certain they will agree that it was often both frustrating and exhausting. However, it was also more rewarding than I could've imagined. My training, and everything I learned from those I met along the way, has equipped me with skills that will benefit me for the rest of my life, both in my practice as a midwife and beyond. Midwife means 'with woman'. This is a very apt description of the wonderful cohort I had the pleasure of training with. During my time at City, I was lucky enough to get to know a group of passionate, intelligent, feisty and funny women. Girls - thank you so much. You made the three years so much more doable. I'm not sure I would've completed the training without such a fantastic support network. The location of City, and the inner city Trusts it is partnered with, generated a rich and varied training. This enabled us to understand, first-hand, the challenges facing the NHS. The strains resulting from lack of staff and an increasingly complex cohort of women were, at times, felt by all of us. However, it also meant we were exposed to a wide-range of experiences, which generated many interesting discussions and developed our skills as practitioners. For this reason, I feel grateful to have had the opportunity to attend a university such as City.